This musical interlude will be a short tribute to Ronnie Gilbert, who sadly passed away on 6 June just over a year since the death of her fellow ex-Weaver Pete Seeger. Like Pete, she’d lived a long life and got to sing a lot of songs before her death at 88. I find myself imagining the duet she could be singing with Pete somewhere. And Joe Strummer could join in a chorus or two… OK, better stop now before I add all my favourite deceased musicians to this fictitious band. And given that Pete Seeger is the guy who pulled the plug on Bob Dylan the first time he went electric at the Newport Folk Festival, he and Joe might not see eye-to-eye musically. 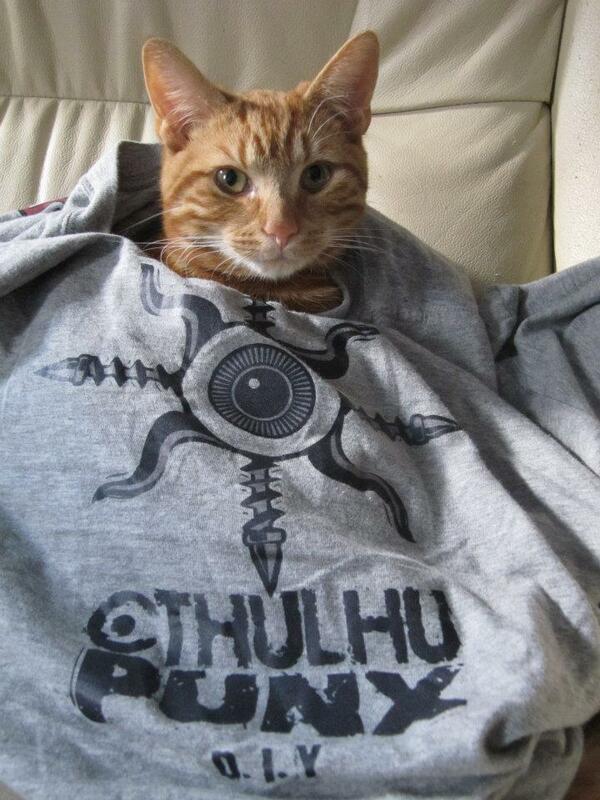 Anyway, back to the Weavers. My parents were big fans. Though politically conservative in many ways, they did appreciate the lefty culture of the 50s and earlier 60s. 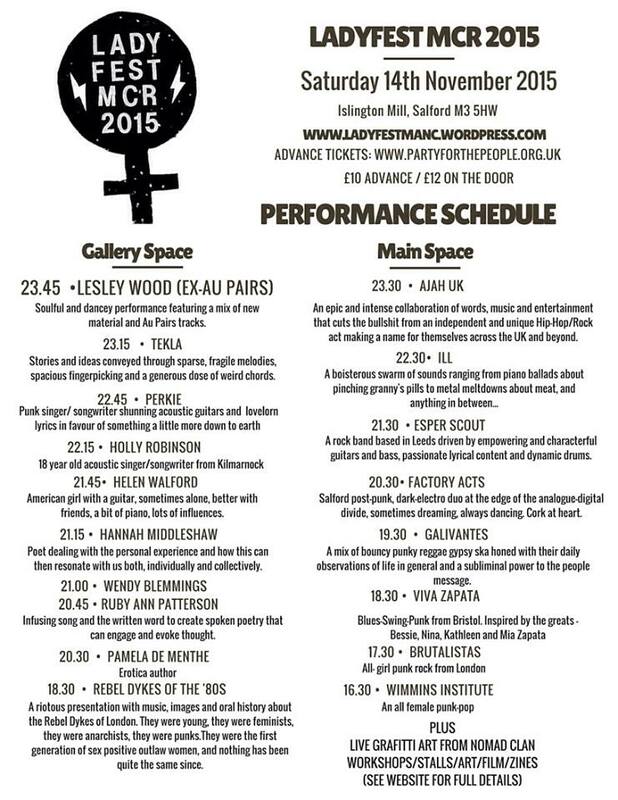 So for us it was Paul Robeson, Threepenny Opera with Lotte Lenya, the Weavers and Pete Seeger. We also had the Red Army Chorus and Band, along with jokes about how the comrades made that tenor hit the high notes. 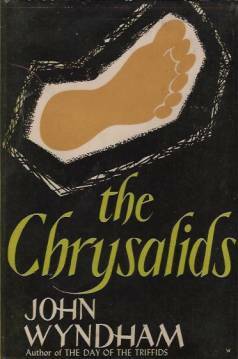 But the Weavers topped the list. 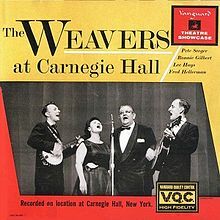 We had several of their albums, though our favourite was The Weavers at Carnegie Hall. I only learned recently – from a family-oriented Facebook thread inspired by Ronnie’s death – that my parents had attended the Weavers’ famous gig at Carnegie Hall in 1955. They were sitting at the front and apparently Pete Seeger didn’t take his eyes off my mum! From that album I’ve selected “Venga Jaleo”, a Spanish Civil War song. Even when I was too young to know what the song was about, I found Ronnie’s singing in this very stirring. It still raises goose bumps. Here’s another Weavers song I loved, their rendition of “Follow the Drinking Gourd”. This song dates back to the underground railroad and contains coded directions for slaves escaping to the north. Though Pete sings solo in this, just listen to Ronnie’s intro and all the power and warmth she adds to the chorus. The Weavers’ style centred on harmonies and singing as a group, and Ronnie’s ringing contralto was central to it. As I read more about the Ronnie Gilbert and the Weavers and wandered about YouTube, I realised that they influenced my writing more than I thought. 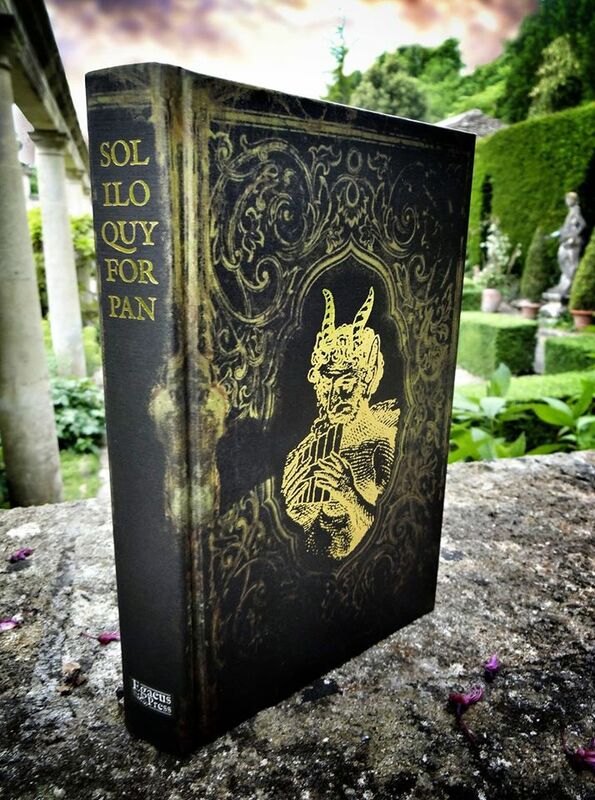 So I promise that it really isn’t an abrupt change of subject to end with some publication news: Soliloquy for Pan is up for pre-order at Egaeus Press. 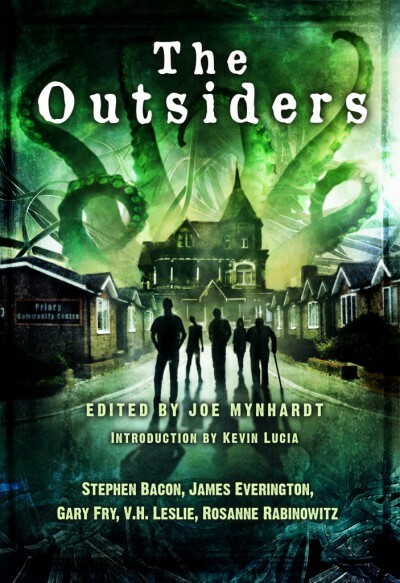 This anthology contains my story “The Lady in the Yard”, where Pan takes a female form and appears in the Bronx. My next bout of bloggage will say some more about the story and why it is not far from the content of this post at all!